Diphenhydramine, commonly known as Benadryl, is an over-the-counter medication used for the treatment of common cold, allergies, insomnia, hay fever, etc. As a topical medication, it can be used for the treatment of minor cuts, burns, itchiness, etc. When it comes to medication abuse, people often think that medication abuse is possible only with those prescribed by a doctor. However, diphenhydramine abuse is also very common, perhaps due to the fact that it is more easily obtained. Yes, people often abuse this medication due to its delirium and hallucination effects when taken in very high doses. In cases when Benadryl is taken for its effects on the nervous system, a psychological dependence is also possible. A psychological dependence is a craving for a certain drug even though you know that the drug will harm your health. You continue taking Benadryl even after your signs and symptoms resolved. You combine Benadryl with alcohol or other substances. You use Benadryl as a substitute for other drugs. 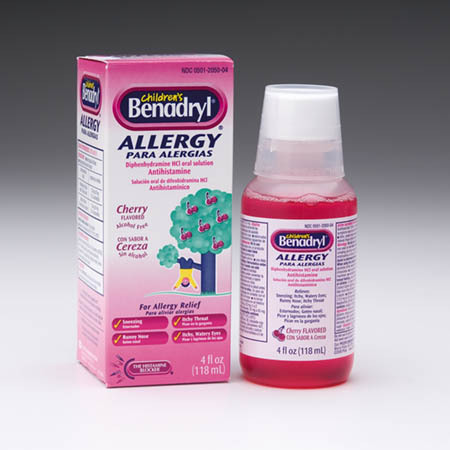 You deny using Benadryl or the amount you use during a day. You can’t relax without Benadryl. You constantly think where to get Benadryl and consume it. You constantly think how to get high. You spend more time alone rather than with your friends or family. You are having daily problems in your life, like in school, at work, at home, etc. If one or more of the above-mentioned cases are familiar to you, then perhaps it is about time you quit abusing with diphenhydramine. What Are the Adverse Effects of Abusing Diphenhydramine? In certain people, a paradoxical reaction to diphenhydramine is possible, meaning that the drug causes different symptoms than the intended ones. Certain studies also show that a prolonged use of diphenhydramine increases the risk of dementia and Alzheimer’s disease. People sometimes even mix diphenhydramine medication intentionally with other substances such as alcohol, muscle relaxants, benzodiazepines, MAOI’s, opiates, etc. These substances, when combined together, have adverse reactions, but the user often seeks for these effects. Remember that mixing various substances is forbidden and their effect can even lead to death. If the above signs are noticed, emergency medical help is required as these are serious symptoms which can lead to death if left unattended. You need to tell the medical staff all the medications or illegal drugs that you have been using and the amount you use on a daily basis. How Can the Diphenhydramine Abuse Be Treated? In cases when people abuse with diphenhydramine, medical professionals suggest that the best way is to quit taking it slowly over one or two weeks. However, the exact time is individual, depending on the duration of abuse, the doses consumed, the person's general health, other diseases, etc. If you are dealing with other physical or mental problems such as insomnia, anxiety, depression, etc., other treatments are available. There is no need for you to continue any substance abuse. When it comes to any substance abuse, the best thing to do is to seek professional medical help. It can help you achieve a complete recovery once and for all. Diphenhydramine abuse is not alone. Some other antihistamines are also taken for the sedating or hallucination effects. According to the National Institute of Health, the second or third generations of antihistamines have no sedating effects or only a very little sedating effect, due to the fact that these medications of a newer generation have a limited penetration into the brain. According to a review in 2005 about the sedation effects of the antihistamines of the second and third generations, it has been estimated that only Cetirizine has about 10% sedation effect in patients.